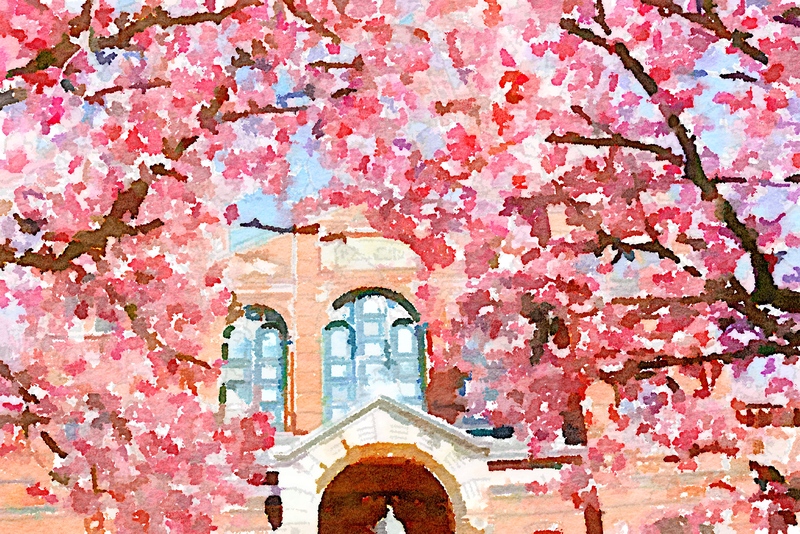 I grew up in the Washington, DC suburbs so I’m used to cherry blossom fever. The Pilot and I got married at peak bloom thirteen years ago so we both have a special soft spot for the delicate pink blooms. 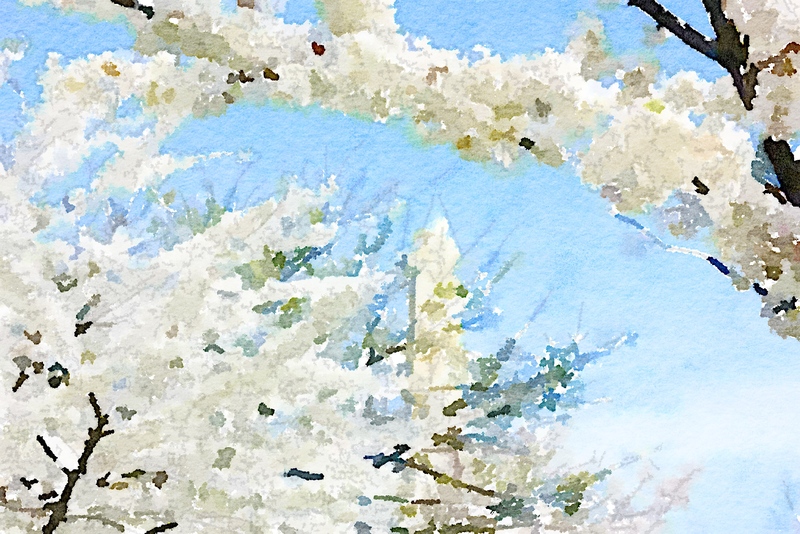 We decided to take Fox to see the blossoms at the National Cherry Blossom Festival this year. Here are some shots we took this year. I also included some shots treated with the Waterlogged app. 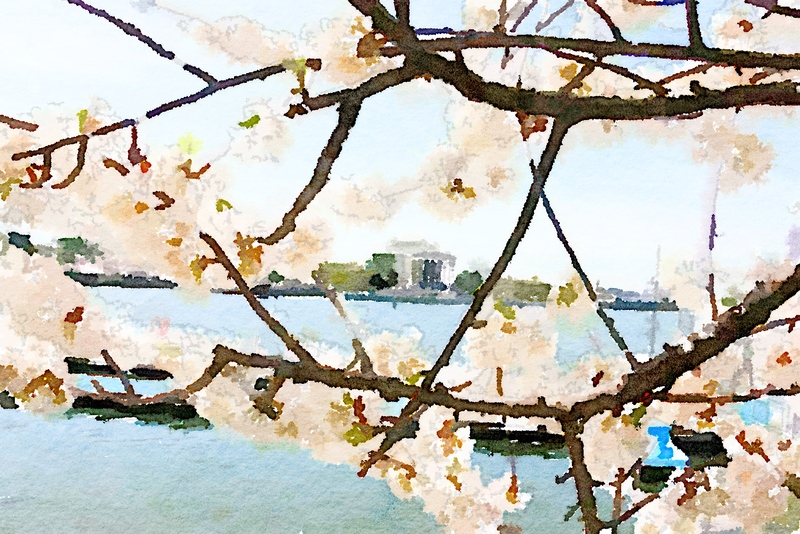 Another view of the tidal basin, Jefferson Memorial, and cherry blossoms in bloom. 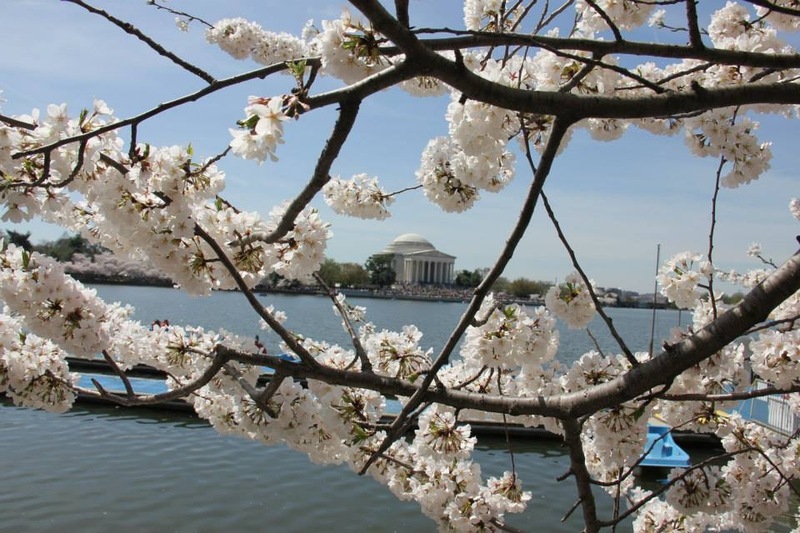 Japan gifted the trees to us in 1912 and, after the first batch fell to disease, the second trees were planted all around the city, but most famously around the tidal basin at the Jefferson Memorial. 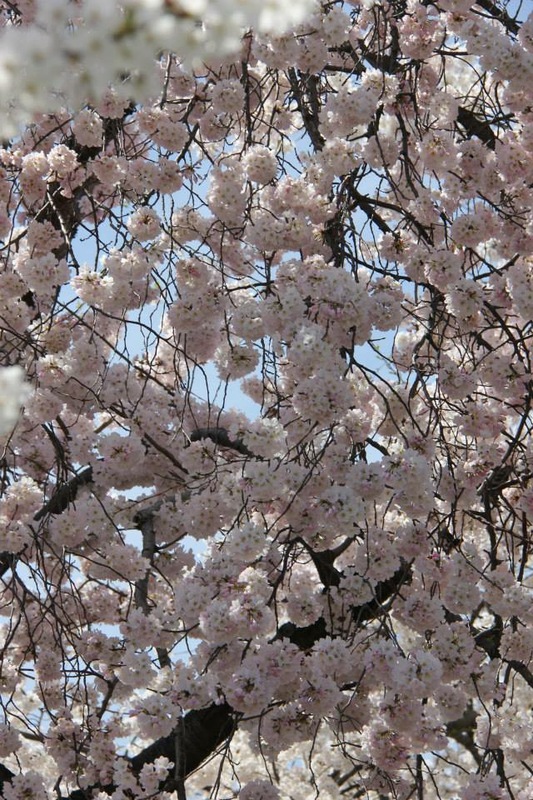 They bloom for only about a week each year, an event prized by tourists and locals alike. If you just want to see the trees, the Capitol side garden has a beautiful grove that is not nearly as crowded as the tidal basin. We actually had some of our wedding photos taken there and they are some of the best shots of all. We did have a wonderful time but the festival is very, very crowded so it’s difficult to maneuver around the narrow cherry blossom paths. 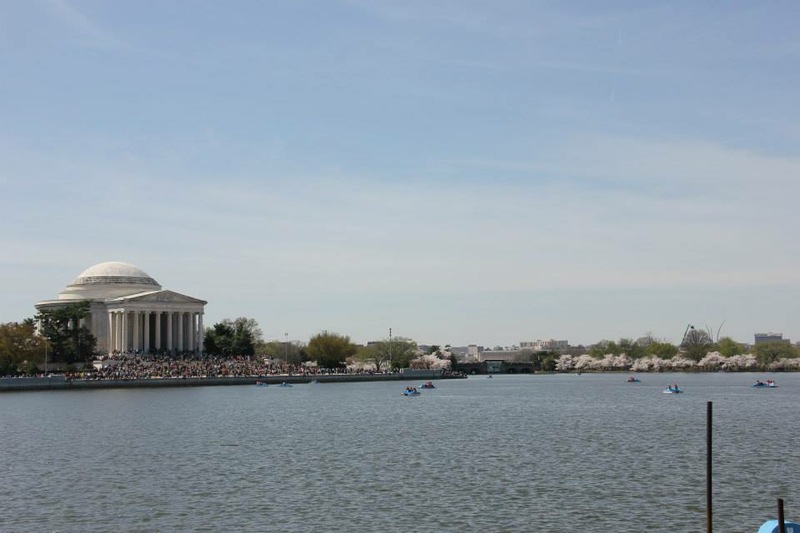 If you want to ride the paddleboat on the basin, make sure you reserve online. 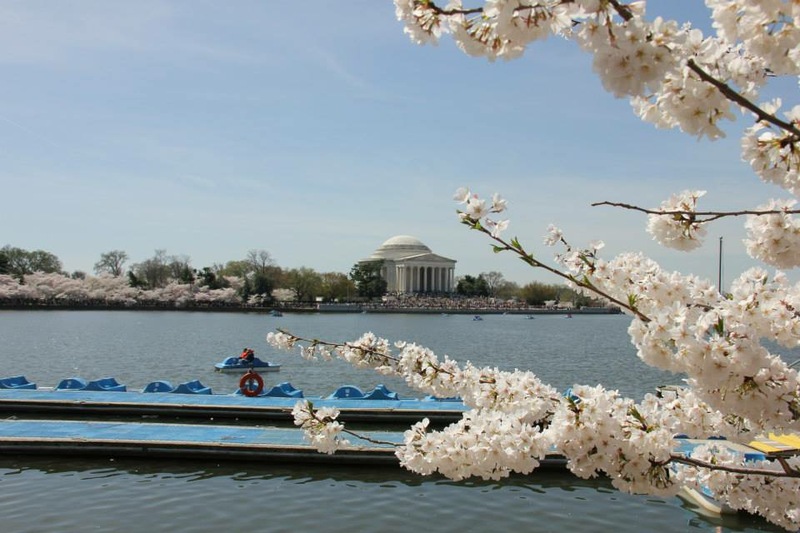 The National Mall is also in walking distance, as well as the location of the closest Metro stop (Smithsonian), so you could combine your visit with a trip to one of the museums. We hit Air & Space that day too. As there is no nearby parking and traffic is very heavy, Metro transport is also recommended. View of the trees in the Smithsonian Castle courtyard. 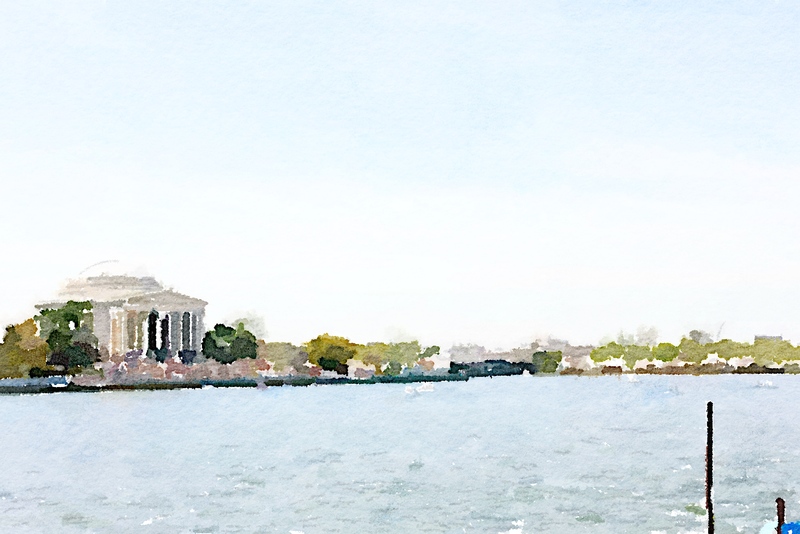 (With Waterlogue app). 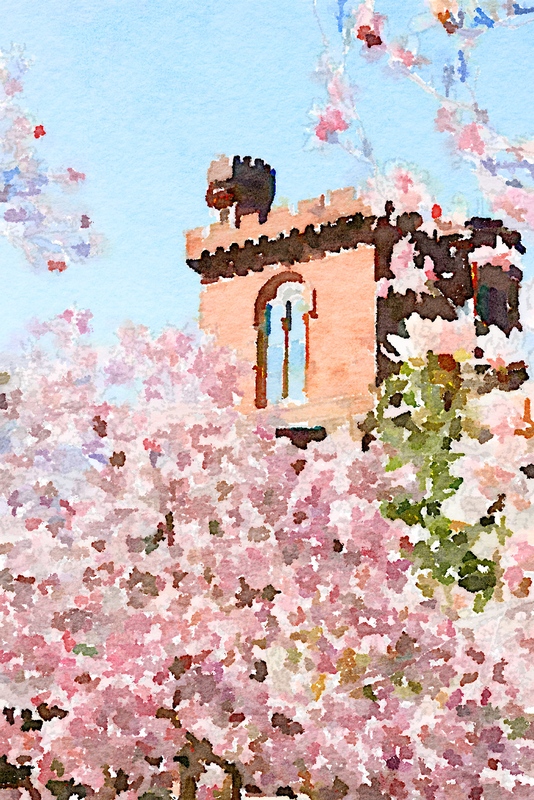 View of the Smithsonian Castle (with Waterlogue app). They usually bloom the first week of April so if you’re planning for 2016 book now!